Our family is very cool. There are two children : Andrew and Emma. Andrew is 12 years old, he is realy fun and we can do a lot of acrivities with him ! A lot of people say, the english’s food is not healthy but, in our family the food is healthy and Daniela do a lot of homemade food! The house is very big, there are in the garden 1 swing , 1 trampoline,1 panding pool and a littel pond with froggs and fishes ! 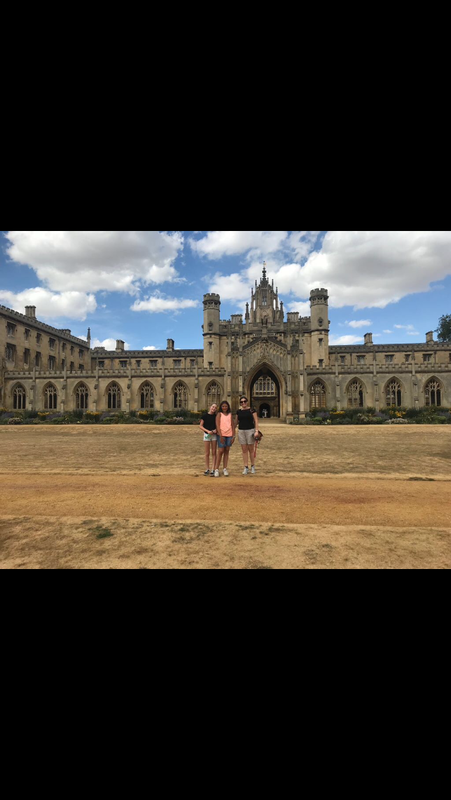 With our family we do a lot of activities: we go to the pool, to london and to Cambridge, we visit a lot of muséums and gardens , and we do a lot of shopping !